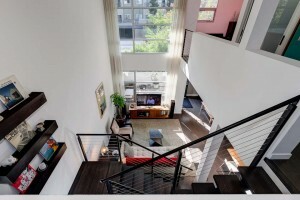 Sunset Silver Lake Lofts Currently has Three Active Listings to Choose From! If you have been looking for an opportunity to live in Sunset Junction, now could be your chance. There are three units currently available in the Sunset Silver Lake Loft Complex at 4111 Sunset Blvd. 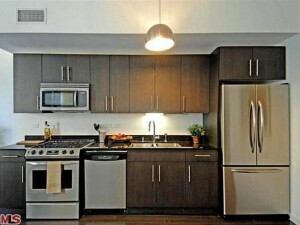 Though the floor plans are similar, each unit has its own character and finishes. 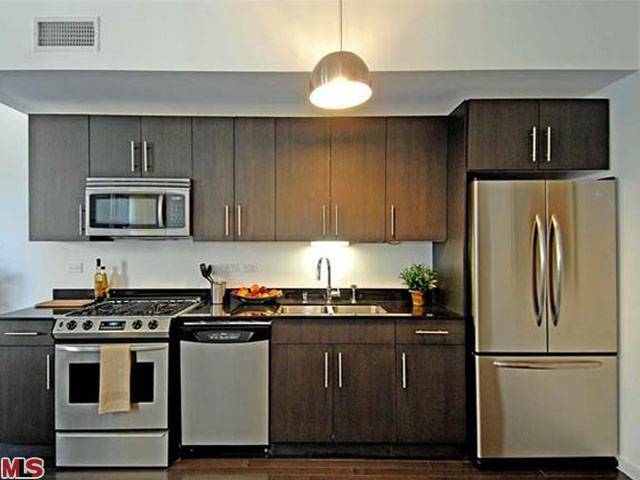 Unit #111 is a 2 bedroom, 2 bath unit facing Sunset Blvd. There is a small private patio space and direct access to Sunset, a hop, skip and a jump away from Intelligencia and the Cheese Store of Silver Lake. This particular unit is a ‘normal’ sale, i.e., it’s not bank owned nor is it a short sale. You get 2 parking spots, 1,430 sf of living space and a $596,000 price tag. (Currently listed with Sotheby’s) Lest you think this price is high, the seller paid $650,000 for it in 2008. Like similar units, #111 has to ceiling 19 ft windows, polished wood floors (ome have polished concrete) and stainless steel appliances. The light colors and uncovered windows make the rooms feel even larger than they actually are! Looking for something a bit less expensive? If the price on #111 is too steep and you’ve got some patience, unit #313 is also a 2 bedroom, 2 bath unit but it is currently listed as a short sale. A short sale does NOT mean a short wait for approval. Though short sales are starting to work more smoothly, depending on the bank you could wait a month or maybe 6 months. It’s simply an unknown. 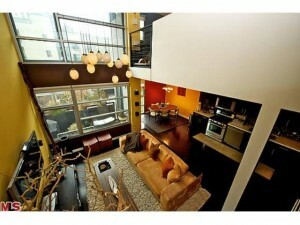 This unit (listed with Keller Williams) is a little smaller, sporting 1,240 sf of living space. It overlooks Myra rather than Sunset Blvd so it’s a bit removed from the hustle and bustle of the boulevard but still in the heart of Sunset Junction. The asking price is $475,000 (sold for $650,000 in 2007) and it’s been on the market for about a month at this point. What seems to be the best deal in the complex right now is unit #344. This unit is the largest of the 3 with 1,652 sf of living space. It has one bedroom and a ¾ bath downstairs and a loft bedroom and full bath upstairs. Yes, this unit is also a short sale, the difference is that is an APPROVED short sale. Initially listed with Prudential at $505,000, the price is now showing as $429,000. The buyer who went through the short sale negotiations process apparently got tired of waiting and walked away from the deal. Here’s your chance to slip in and snag a fab Silver Lake loft for a great price.